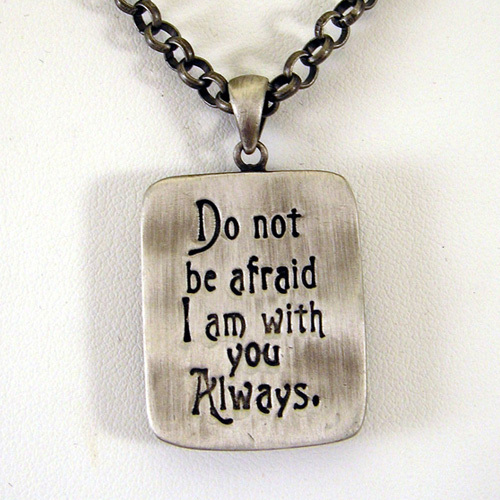 Do not be afraid, I am with you always. 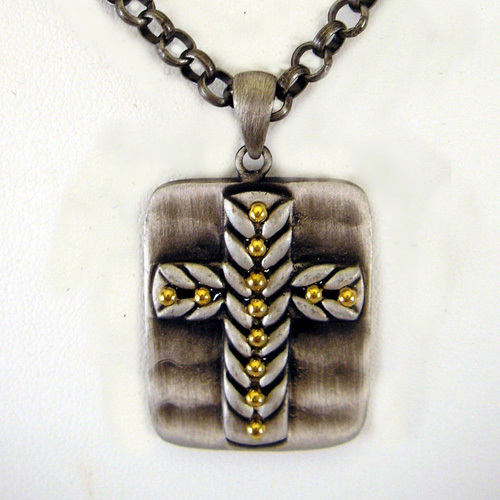 Inspire your favorite guy with this medallion cross. The reverse says, “Do not be afraid, I am with you always.” Antique silver pendant and rolo chain with gold plated beads on cross. Medallion pendant measures 1 1/8″ h x 6/8″ w. Chain is 18 inches with 2 inch extender chain.